TheBloomOutlet.com | When it comes to someone’s special day, you would want to do the best to make them happy—especially if he or she is your special to you! 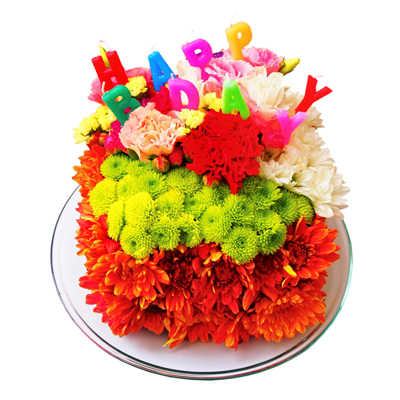 Flower gift is absolutely one of the very best ideas you could do to make the birthday person happy. Flowers can be a truly special gift. They are not only beautiful but also meaningful and can make someone in a better mood. Each flower has a meaning, choose one flower that represents your feeling best or symbolizes your relationship with the receiver to make it a meaningful gift. Don’t just choose random flowers, do a little research and explore the meaning of flowers are better. You will find that there are so many flowers to choose and how rich and beautiful their symbolisms are. Birthday flowers can come in many different forms, too. Let it be a flower in a bouquet, flower in a vase, pot, or a flower basket. Each one can be a magnificent birthday gift as long as you know how to choose the best and the most suitable one. The key is by considering what the receiver likes and dislikes. Do you know their favorite flower? Do you know their favorite color? What kind of arrangement you think will be well-received? What meaning do you want to convey through the birthday flowers? Giving flowers on a special day like birthday will be a very lovely and beautiful thing to do to make someone happy; it shows that you care and you think they are special. Flowers are also good for all ages—young or old. Then why don’t you try to give a bouquet of birthday flowers to your mom or your grandmother too? Moreover, you can use a flower delivery service from an online florist too for a simpler way. This way, you can even prepare a surprise of unexpected flower delivery on the workplace or home. With some sweet little gifts addition such as Teddy Bear or chocolate on the little surprise, the birthday person will be as happy as you imagine! Don’t forget to add a lovely greeting card with your own message to tell the birthday person just how much you care and wish them happiness on this special day of them.